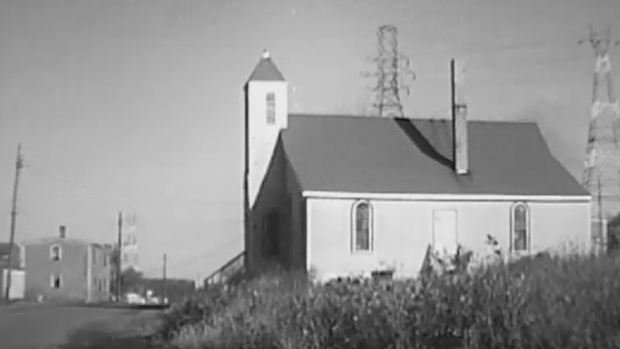 Documents obtained exclusively by CTV News have solved a 50-year-old mystery surrounding the church that was once the heart of the community of Africville, N.S. 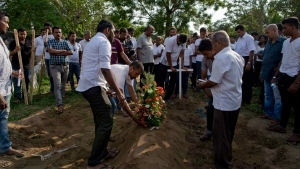 There has always been confusion over when, and on whose authority, Seaview United Baptist Church was demolished, and there are hard feelings over the demolition. At the time, the City of Halifax described the demolition as urban renewal, but it's now considered by many to have been an act of racism. 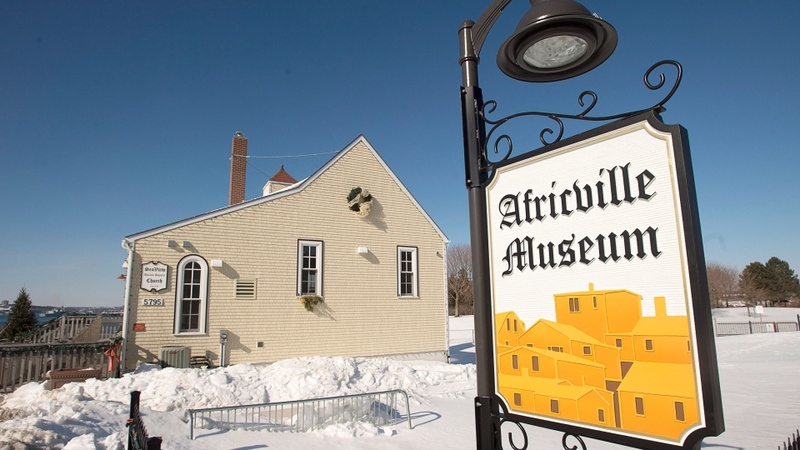 Former residents of Africville have long believed the church was demolished in the middle of the night without notice, but the exact date of the demolition has been lost over time. “It was my older brother Dickie who came home and said to mama, my good mama, they tore the church down,” recalled former resident Irvine Carvery. Now, a newly-discovered memo from the city’s real estate division to the director of works, dated Oct. 18, 1967, is providing some difficult answers. “The Sea View Church in Africville is ready for demolition. Would you please demolish this building as soon as possible, as it is a fire hazard and children will break into this building?” the memo states. The document confirms the building was indeed demolished by Nov. 20, 1967. 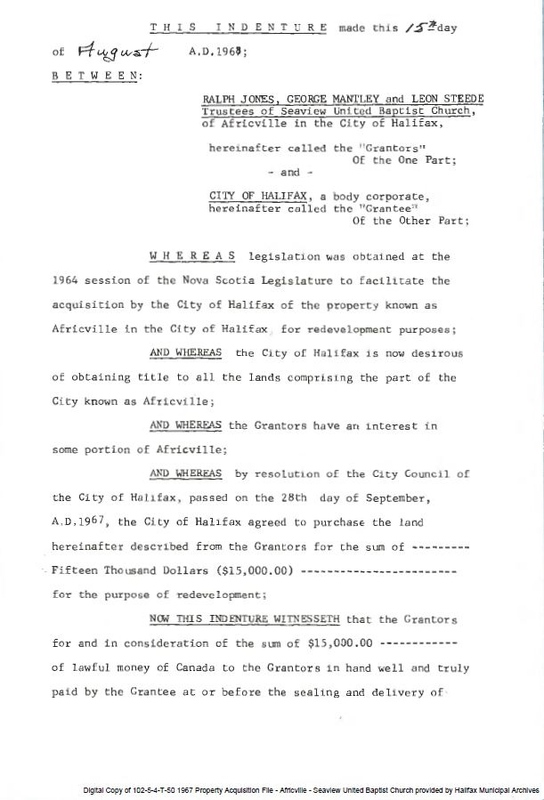 However, it also confirms the City of Halifax didn’t formally purchase the church until nine months after the demolition. The news is heart-breaking to Brenda Steed-Ross, who lived in the community until she was 18. Her father was one of the trustees who signed off on the document agreeing to sell the church in 1968 - the original date of 1967 clearly changed in ink to 1968. People have been trying to solve the mystery surrounding the church’s demolition for decades, and the document wasn’t easy to find. Even municipal archivist Susan McClure had a difficult time tracking it down as it exists only on microfilm and there is no paper copy. “We ended up finding it in a series that hasn’t been processed here at the Archives,” said McClure. 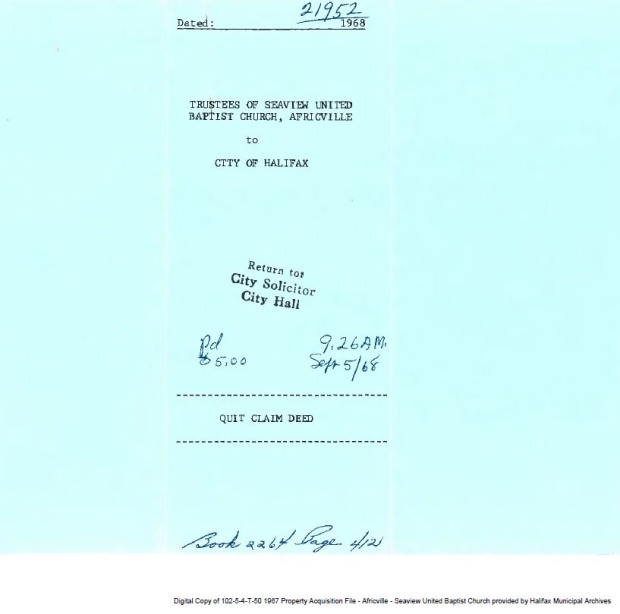 While many documents are available online, McClure says some, such as the document about the Seaview United Baptist Church, haven’t been posted online yet. While the discovery that the church was torn down by the city while it still belonged to the people of Africville is upsetting to former residents like Steed-Ross and Carvery, it also provides them with something they have long been searching for – a demolition date. The discovery comes before former residents and their descendants plan to mark the 50th anniversary of the last Easter service at the church at their annual reunion this summer. 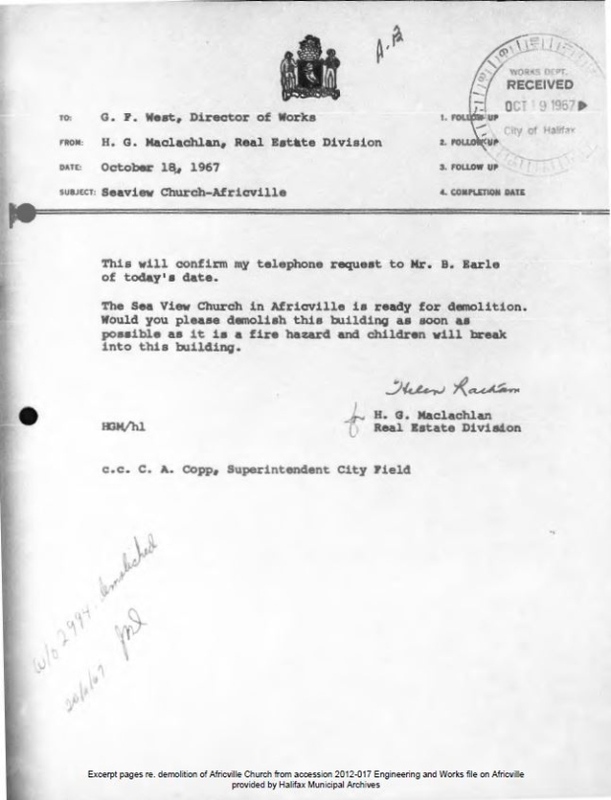 Newly-discovered documents confirm Seaview United Baptist Church was demolished on Nov. 20, 1967.